Imagine designing a car 65 years ago that never progressed further than 1:10 scale model of your design. That’s what happened to Gio Ponti, an Italian architect who designed buildings, furniture, and a car. But that’s about to change. Through 'The Automobile by Ponti’ project, a design collaboration started in January 2017, Ponti’s design will finally become a full-size mock-up set to be revealed at Grand Basel next month. “Throughout history, the automobile has influenced – and has been influenced by – design, architecture and the arts and 'The Automobile by Ponti’ is an archetype of this interconnected relationship,” says Professor Paolo Tumminelli, chairman of Grand Basel’s Advisory Board, and the one who initiated the project in 2017. Ponti designed the car with assistance from his colleague Alberto Rosselli in 1953, using many automotive design principles decades before their adoption on real-world vehicles. The two began with an aerodynamic teardrop shape that eventually developed into something more angular that became known as the “Diamond Line” car. The car featured flat-form body panels and windows with a substantial greenhouse for light to fill the cabin. One striking feature of the design was the rubber bumper running the circumference of the car with spring-mounted buffers at the front and rear. The car was initially designed to ride on an Alfa Romeo 1900 chassis; however, he was never able to get the design made. The inaugural Grand Basel show runs September 6-9 in Basel, Switzerland. The car will then head to a show in Miami Beach February 22-24, 2019, and Hong Kong in May 2019. This September's inaugural Grand Basel show for automotive masterpieces will play host to a fascinating motor car design debut, as the 1953 ‘Linea Diamante' car by legendary architect and industrial designer Gio Ponti is finally brought to life, 65 years after it was designed. Gio Ponti (1891-1979) created numerous icons, such as the 32-storey Pirelli Tower in Milan - regarded as one of the most elegant skyscrapers in the world - and the famous 'Superleggera' chair, which embodied lightness in both aesthetic and physical terms. In 1928, he co-founded the influential architecture and design magazine, Domus, which celebrates its 90th anniversary in 2018 and supports Grand Basel as a cultural partner. In 1953, Ponti - aided by his colleague Alberto Rosselli - conceived a car that was developed to design principles not yet applied in the automotive industry. Their starting point was an aerodynamic teardrop shape, but this soon developed into the more angular 'Linea Diamante' (Diamond Line). Ponti saw his new design as a necessary reaction to the staid automobile styling of the time, which was characterised by large, swollen shapes with small windows and dark interiors. By comparison, his vision was a more architectural car with flat-form body panels and windows, and a substantial glass area that would flood the cabin with light. The clever packaging would enhance the utilitarian aspect of the car, enabling a generously-proportioned cabin and a spacious boot. Furthermore, the neat innovation of a rubber bumper running the full circumference of the car – with spring-mounted 'buffers' at the front and rear – was to be a special collaboration with the Pirelli tyre company. Originally conceived to be bodied on the chassis of an Alfa Romeo 1900 saloon car, Ponti first sought a partnership with Milan based Carrozzeria Touring and then turned to Fiat for production of a subcompact model, but the design was rebuffed. Two decades later, many cars would have caught up with the principles embodied in Ponti’s automobile, highlighting his genius and foresight. Until now, Ponti's car was never progressed beyond 1:10 scale models. This fascinating car has been brought to life in 2018, 65 years after Gio Ponti first envisaged its shape, thanks to efforts of the 'The Automobile by Ponti’ project. As a fitting tribute to the remarkable design talent of Gio Ponti, the ‘Linea Diamante' car revealed at Grand Basel will be a full-size mock-up, modeled by a design team directed by Roberto Giolito, Head of FCA Heritage, upon specifications outlined on Ponti’s original drawings. In a nod to its original collaboration with Ponti in 1953, Pirelli supplied period tyres of the correct specification for an Alfa Romeo 1900. 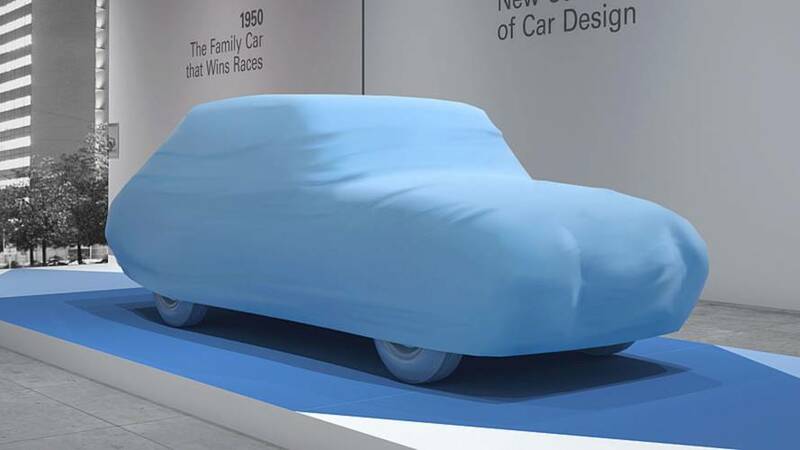 Throughout history, the automobile has influenced – and has been influenced by – design, architecture and the arts and 'The Automobile by Ponti’ is an archetype of this interconnected relationship,” explains Prof. Tumminelli, who initiated the project in 2017. “We are incredibly excited to show Ponti’s 'Linea Diamante' car as a fullsize model for the first time at Grand Basel. This is exactly the type of exhibit that we have promised to offer our visitors – something unexpected, which they have never seen before,” said Mark Backé, Global Director of Grand Basel. "When we were approached with an idea of constructing Gio Ponti’s visionary car, we enthusiastically endorsed the project. The collaboration links perfectly to Domus, now 90 years young and founded by Gio Ponti in 1928," says Maria Giovanna Mazzocchi, President of Editoriale Domus. “We rose to this tough challenge with enthusiasm, and we take pride and satisfaction in the results." Grand Basel's unique independent Advisory Board comprises leading cultural and design authorities, architectural experts and artists. It is therefore highly appropriate that 'The Automobile by Ponti' makes its global debut at the show, where enthusiasts and experts from all these disciplines can come together to discuss the cultural and historical reference points for its design. Exceptional automobiles will be presented in an exceptional setting at Grand Basel, thanks to a bold exhibition concept. Its homogeneous design, inspired by contemporary architecture, forgoes the often-nostalgic ambience of established car shows, instead allowing the motor cars to be admired in a surrounding reminiscent of modern museums. The inaugural Grand Basel show, which will take place from 6 to 9 September 2018 in Basel, Switzerland, leads the way for upcoming shows in Miami Beach, from 22 to 24 February 2019, and Hong Kong in May 2019.